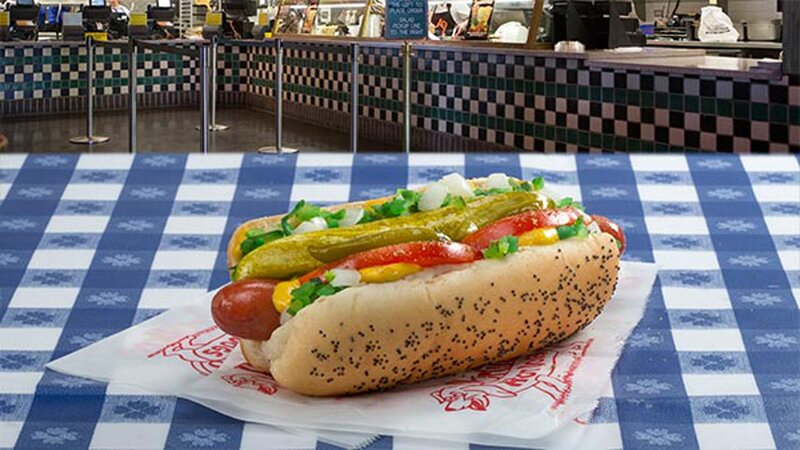 CHICAGO (WLS) -- Portillo's is offering $1 hot dogs with a purchase of an entree on National Hot Dog Day, Wednesday, July 19. The one-day offer is for a regular Portillo's Chicago-Style Hot Dog for $1 when customers purchase any sandwich, entree salad or ribs, while supplies last. The deal is only available for dine-in or drive-thru customers, and does not apply to online or catering orders. America's Dog & Burger is also offering $1 dogs at all of their locations July 19. Customers are limited to one hot dog per person, and certain restrictions apply. The National Hot Dog and Sausage Council designated July 19 as National Hot Dog Day, and July overall as National Hot Dog Month.